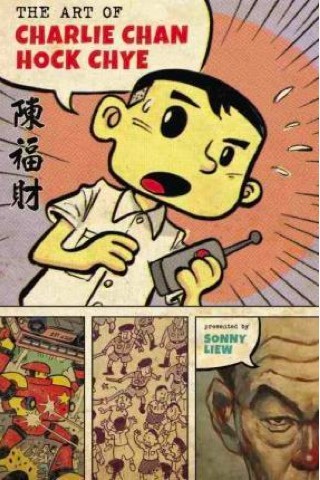 Genre-busting Sonny Liew’s graphic novel The Art of Charlie Chan Hock Chye is not only one of the most beautiful books we’ve both seen and read on Singapore, but it easily counts as one of our top Southeast Asian reads published in recent years. On one level, the clever and highly entertaining book tells the poignant biography of 1938-born, political comic artist Charlie Chan Hock Chye. On another, it’s the tale of Singapore’s foundation after years of British colonial rule, Japanese occupation, federation with Malaysia and then control by the protest-quashing People’s Action Party (PAP) of Lee Kuan Yew. It’s the story of a humble life deeply entwined with the story of Singapore; it’s artist-illustrator Liew’s love letter to his adopted country, but it also rues what Singaporeans have lost, and how they have struggled, as their city-state has transformed from a backwater into the global financial powerhouse it is today. And there’s an interesting little catch: Charlie is fictional. Multiple award-winning, New York Times best-selling The Art of Charlie Chan Hock Chye is stunningly drawn by Liew; one NPR reviewer writes that it “is probably the greatest work of art ever produced in Singapore”, and we wouldn’t argue with him. While we weren’t able to put the art into comic-history perspective globally, we can say that we were completely engrossed by Liew’s masterful drawings and sketches of Singapore (as were our kids, aged 9 and 10), along with the imaginative stories they conveyed. In particular, we loved Charlie’s superhero Roachman, who conveyed stories told in Singapore’s 1960s newspapers, such as Street of the Dead, “a collection of short stories set in Sago Lane, infamous then for its ‘Death Houses’—funeral homes that doubled as hospices for the elderly to spend their final days”. Liew repeatedly finds ingenious ways to convey, or reinterpret, and critique Singapore’s history. The Art of Charlie Chan Hock Chye is a must-read for anyone with even a slight interest in Singapore and its history and people. Liew has created a breathtakingly ambitious book and, we reckon, achieved everything he set out to do. You couldn’t read a more intriguing book ahead of a visit to the city-state, nor could you pick up a more gorgeous souvenir to adorn your bookshelves after a trip.